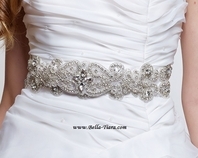 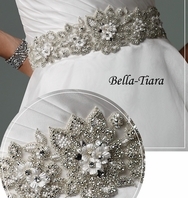 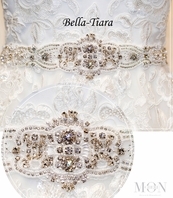 Description: This is a shiny crystals and seed beaded sash for brides . 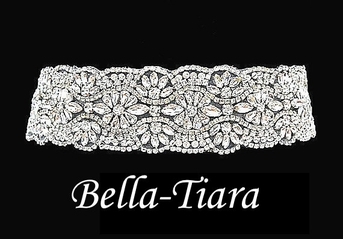 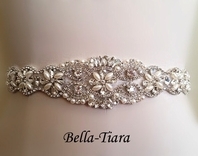 The rhinestone belt is 17.5" long and 2.25" wide. 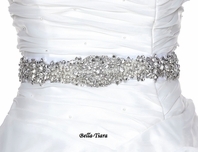 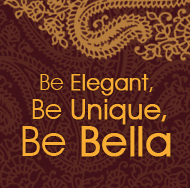 if you want more inches to go all way around your waist, please contact us .There is 3 yards long hand sewn underneath, so you can tie a bow in the back.